The footage above is from last night’s phonics debate in Sydney. 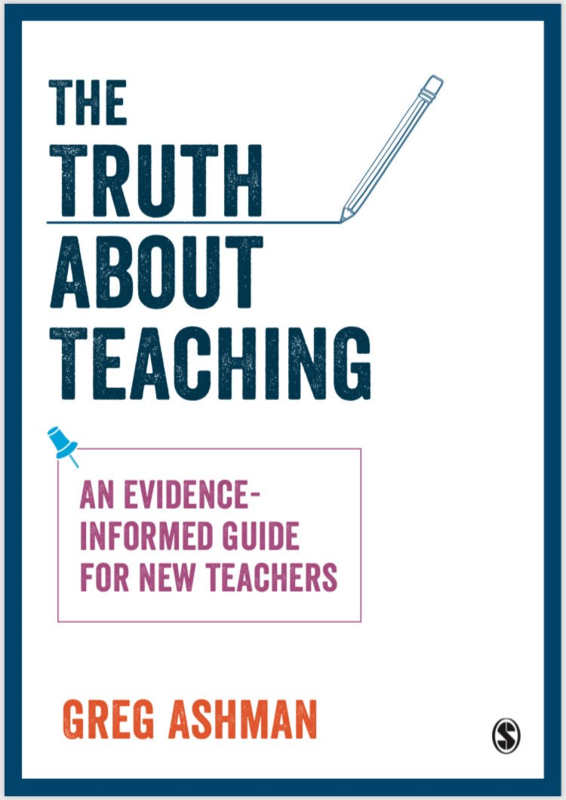 Every primary teacher should view this and it is worthwhile if you teach secondary. The proposition for debate was: Phonics in context is not enough. On the affirmative side where Anne Castles, a reading scientist, Jennifer Buckingham of the CIS thinktank and head of its FIVE from FIVE literacy project, and Troy Verey, a public school teacher from New South Wales. Castles, Buckingham and Verey leaned heavily on scientifically based reading research. Verey contextualised this by discussing his experience teaching in London and NSW. He spoke of how little he had learnt about reading through his training and he specifically mentioned the importance of learning about the five keys to reading, the same five that Buckingham’s programme focuses on: phonemic awareness, phonics, fluency, vocabulary and comprehension. These are consistent with The Simple View of Reading, a theory that posits that reading consists of two intertwined components: decoding and comprehension. You need to be able to map the squiggles on the page to a word, but you then need to know what that word means in the given context. Buckingham highlighted this point when she discussed the word ‘wind’. Yes, its meaning and pronunciation depend on context, but if you can decode it with phonics then you can narrow it down to one of two options. Without phonics, ‘it could be anything’. The overriding point was that phonics needs to be taught systematically, from simple letter-sound correspondences to more complex ones, rather than being left to chance. If we expect children to infer these relationships for themselves then many will not, including a disproportionate number of the most vulnerable students. On the negative side of the debate were Robyn Ewing, a professor of education, Kathy Rushton, an education lecturer and Mark Diamond, a school principal. Their approach to the debate was initially baffling because they seemed to be arguing against the idea of teaching phonics and nothing else. This is despite the fact that the affirmative speakers all stressed the importance of reading stories with children and building comprehension in tandem with teaching phonics. Rather than focusing on scientific research, the negative speakers focused on the idea that meaning is important. Again, this does not seem to be a point that anyone disagrees with. As I have noted, The Simple View of Reading suggests comprehension – meaning – is one of two critical components. Ewing spoke at some length about the need to speak to babies so that they develop language skills. The implied connection was that this kind of immersion is also useful for teaching reading. However, there is no good reason to believe that learning to speak and learning to read are the same. Although reading clearly builds upon speaking, reading has only been around for a few thousand years, with mass literacy only about 150 years old. In contrast, speaking has been around for many tens, perhaps hundreds, of thousands of years and so has potentially been acted on by evolution. Part of this argument, taken up by the other negative speakers, seemed to be that reading performance was largely determined by home life. Home life is undoubtedly a massive factor, but as educators, there is little we can do about it. We can, however, affect what happens in the classroom. There were also a couple of puzzling research claims made by the negative speakers. Ewing claimed that British research has shown that the phonics check in England has not been a good thing for young children and has not necessarily improved their reading. I would like to know the source for this because evidence from PIRLS, although very preliminary and correlational, suggests reading has improved since the introduction of the check. Diamond referred to a claim that he attributed to Misty Adoniou that ‘English has a phonological consistency of only 12%’. I would like to see the source. Mark Diamond: Show me the money. Those who have a vested interest in commercial products for sale versus those who pursue complex understanding… Deepening pockets versus deepening understanding. Diamond: This is a scholarly debate. It’s pretty breathtaking to accuse the other side of the debate, none of whom appear to have any commercial investment in phonics programmes, of being venal, and then call for a scholarly debate. But this was not the only odd juxtaposition. Diamond also accused Verey of relying on a small amount of evidence from Verey’s school – Verey did not do this because he mainly drew on the wider evidence outlined by Castles and Buckingham – before constantly referencing his own school as evidence supporting a ‘balanced’ approach. The reason I devoted a chapter of my new book to phonics, even though the book is aimed at all new teachers whether they teach early reading or not, is that the phonics debate captures, in microcosm, the education debate more widely. It pits science against semi-mystical invocations of ‘authenticity’ and ‘meaning making’. We will know that we have finally become a profession when debates like this no longer represent genuine differences in the methods we use. The divisibility of decoding and understanding can easily be demonstrated by the simple observation that any skilled reader could read a technical paper to an assembly of physicists or biologists, without understanding the meaning of the text—yet all of his audience would understand it. On a more commonplace level, who can say that they have never read something which they did not understand? And conversely, who would claim that people who cannot decode written words are incapable of understanding spoken words? The ‘simple view of reading’ has long been understood, even before the phrase was coined by Gough. What is less well understood is that when children are learning to decode, attempting to teach language comprehension skills simutaneously places a greater load on working memory–thus placing the most vulnerable children at a severe disadvantage. It is worth noting that Wimmer is Austrian, and in Germany and Austria reading instruction has always closely resembled synthetic phonics. In 25 years of teaching remedial literacy skills to SEN pupils, I have never had the slightest difficulty teaching non-readers the phonemic principle–it takes minutes at most. However, when the handwriting was on the wall for Goodman & Smith’s ‘psycholinguistic’ fantasies, the whole language lobby latched on to PA because it could be taught with ‘fun’ activites like rhyming games, as opposed to wicked old didactic teaching. This ‘Reading war’ has gone on for decades and will continue as long as the people who speak and read in only one language do not want to listen to those who teach kids in many languages which use the same Roman/Latin alphabets as does English. I teach kids in 3 languages which use the same alphabets and know exactly why they can read in two languages but not in English. The reason why many kids all over the world cannot read in English is because they are instructional casualties. Those interested in finding out may buy a copy of my book ‘Shut down kids’ available on Amazon. They may then grill me on its contents. Thanks to the livestream I was able to follow the phonics debate in Sydney. It surprised me that in 2018 debate over the necessity of phonics instruction during early reading and spelling education persists. In countries with transparent alphabetic code systems, hardly any doubts remain concerning the effectivity of phonics instruction. Those doubting the effectivity of phonics instruction in English are probably confounded by the consequences of English language complexity. To unlock a transparent alphabetic code through phonics instruction normally takes a child from 6 to 12 months; unlocking an opaque alphabetic code like English, however, can take children up to three years. Does this indicate phonics instruction is not applicable to English? Certainly not! It merely shows phonics instruction in the English language has to be tailored to the larger complexity. I agree with Luqman Michel we should listen carefully to those experienced in phonics instruction in multiple alphabetic languages, transparentas well as opaque. We have developed phonics programmes for Modern Greek, Dutch ánd English. And yes! developing a phonics program for the English language is more challenging, but not unfeasible. Our experience developing the Greek program made us realise phonics instruction for English requires two separate stages: ‘completely transparent’ vs ‘not transparent’. The first stage focuses on obtaining general phonemic awareness. In this stage the child learns to master a decoding system, to segment, blend, and manipulate individual sounds. The mastering of this system itself presents a tough and laborious undertaking, even without confronting the high degree of complexity of English. Therefore, all sound-symbol correspondences should be completely transparent at this time. Suitable words are e.g. hit, box, bed and blend, frost and strip. (After completing this stage, Greek children can read almost all Greek words, while English children still have a long road ahead). The second stage deals with the peculiar complexity of the English language focusing on ‘not so transparent’ English sound-symbol correspondences. However, even these can be organised systematically in similar sound groups (e.g bed-deaf-said-thread), forming the second stage extended phonics instruction. More complicated word structures of polysyllabic words require additional strategies like morphemic awareness. Phonemic awareness alone doesn’t suffice for spelling words like nation-national, define-definition in which pronunciation changes drastically. Conclusion: Indeed, learning to read and spell English poses additional challenges, given its lack of transparency. However, providing the right phonemic and morphemic instructions enables even struggling readers and spellers to obtain these important skills. Although reading clearly builds upon speaking, reading has only been around for a few thousand years, with mass literacy only about 150 years old. In contrast, speaking has been around for many tens, perhaps hundreds, of thousands of years and so has potentially been acted on by evolution. I would be very cautious about subscribing to the arguments about evolution and writing. These arguments tend to overlook the incremental nature of the evolution of linguistic abilities and symbolic understanding that are detailed very convincingly by Gary Tomlinson in A Million Years of Music. Those arguments also tend to overlook that the emergence of writing (that they place around 10,000 years ago?) as initiating the evolutionary process of being able to write, rather than (which for me, is much more likely) being the end result of a much longer process and series of increments. This theory is much harder to grasp (I’m reading Tomlinson’s book for a second time and it’s only now starting to make sense), which is possibly why those who use the evolutionary argument go for the easier option. Geary’s article is really only a theoretical framework rather than presenting hard evidence – also, evolutionary science has moved on a long way since 1995 when he wrote it. Alphabetic scripts were something of a quantum leap from logographic writing such as Chinese, and the first one was developed less than 4,000 years ago. Greek, the first script to include symbols for vowels, is about 2,700 years old. This is hardly long enough to account for significant changes to our DNA. Not really. Evolutionary biologists would say otherwise. This is hardly long enough to account for significant changes to our DNA. If indeed that is how it happens. My point is that, as Tomlinson argues in his book, evolutionary progress is not some kind of Kipling “Just So” story – “How the Human Got His Literacy”, if you like. Humans started writing because it was a latent ability they had – they didn’t have to “evolve” it (whatever that means – the evidence does not support that writing ability has to be “evolved” and there hasn’t been enough time for that to occur). Another example – humans didn’t ski until around eight thousand years ago, but the latent ability was already there – otherwise they wouldn’t have been able to ski in the first place. There is no one “reading gene” or “writing gene” – these skills are a sophisticated combination of ancient processes within the brain. To argue the hypothesis that “Reading is not a ‘natural’ act and must be taught” would necessitate accepting that even one example of an admittedly prodigious child who worked out how to read by themselves before starting school would falsify this hypothesis. And I think locating such a child would not be difficult! It would be good if that book had a few more endorsements from experts in biology. But assuming it is accurate what does this mean for genetic differentiation in groups that separated over the last 100,000 years? A view that there are group genetic differences related to something like reading ability is not going to go over well with some people. what does this mean for genetic differentiation in groups that separated over the last 100,000 years? Which groups have separated for such a long time? The only hominin species extant is us. Within homo sapiens there were no groups that were separate for long enough periods. Just today there was scientific news about the so-called “pygmy” people on the island of Flores (where the remains of the extinct “Hobbits” were discovered a few years ago). Even these people, who due to evolutionary pressures are shorter on average, have a similar mix of Neanderthal and Denisovan (in small amounts) DNA as Europeans. If you are saying that there has been no genetic evolution related to language skills and reading and writing skills then you agree with one of Greg’s points. I got the impression you were disagreeing with that. The book you reference is literally babble. He never misses using the most obscure, ambiguous word he can find. At the same time he avoids reference technical data that would support his ideas. Of course reading makes use of existing genetically determined traits. What else could happen? The question is whether there are things that are primarily culturally transmitted. That is they depend transmission of ideas from one existing brain to another. As you point out with genes we can see how common our genetic make up is across peoples. Spoken language has similarities across peoples. You don’t find isolated groups that don’t speak. But writing is not at all the same except where there has been contact between living people to make it the same. Here I mean the same in terms of levels having a symbolic alphabet and being able to express almost any idea in written form. The analogy for a self taught prodigy only works if they invent there own written alphabet without ever seeing one. Good luck finding one. That you think it is a prodigy that could learn to read an existing alphabet without help is an argument for Greg’s point. That is that for the whole population the cultural aspect of transfer of reading skills is incredibly important. – How you teach someone to speak doesn’t make much difference to almost all children. Doing very little active teaching gets similar results for almost all. – How you teach someone to read makes a big difference to almost all children. A genetic just so story works here. It doesn’t prove anything but is a plausible explanation. Theories that are compatible with other theories and have plausible explanations are better than ones that are not. dang – there should be their. Clearly my innate writing skills need help. The book you reference is literally babble. He never misses using the most obscure, ambiguous word he can find. It is academically dense, but like any good academic he explains very carefully every technical term that he uses. Those terms are therefore not “ambiguous” in any sense. Just because it’s too nuanced for you doesn’t mean that it is “babble”. You just need to work harder at reading it – I’m on my second read and yes, it is much more comprehensible this time around. The analogy for a self taught prodigy only works if they invent their own written alphabet without ever seeing one. Also incorrect. The analogy was about the prodigy not being taught – I said nothing about them not being exposed to a written alphabet. A parallel example would be the ability to ride horses – Indigenous Australians did not come into contact with horses for sixty thousand years, unlike Eurasians (who actually used evolution artificially to make the horses “rideable”, but that’s just an interesting tangent), but when the horses were there, they were innately able to teach themselves how to ride them (one presumes after pinching them – would the European invaders have given them to them willingly, let alone teach them how to ride them?). The historical observers of the time are very clear on these occurrences. A genetic just so story works here. It doesn’t prove anything but is a plausible explanation. Except, as I pointed out, that evolutionary science is moving in the opposite direction. Tomlinson, Gary (2015-03-06). A Million Years of Music (Zone Books) (Kindle Locations 182-183). The MIT Press. Kindle Edition. Or here in chapter 1 what is he saying that anyone who has heard a bird sing would not respond “well duh”. The problem here is not academic technical terms but bad writing. Tomlinson, Gary (2015-03-06). A Million Years of Music (Zone Books) (Kindle Locations 319-322). The MIT Press. Kindle Edition. I don’t think you are seeing a difference between “as the facts have established” and “as I have pointed out”. This is also a problem in the book you reference. Can you point to an evolutionary biologist or better then discussion among evolutionary biologists that supports your claim. Keep in mind the context of the original point – it is not that people can’t learn to ready simply by copying someone else. It is that this is significantly harder than learning to speak by copying someone else. I recommend http://drlarryrosen.com/research/ his book gives lots of good background, is worthwhile in itself, and it is a good exemplar of an accessible book on current research. Intelligence has little to do with it but it does see to be connected to having literate parents who read. That some children can learn to read with minimal instruction and that most learn whatever way they’re taught does not help those children, usually the poorest and most disadvantaged. So that they too gain the gift and tool of reading a method that teaches them must be used – research suggests that method is systematic synthdtiyphonics, so let us use it. Reblogged this on The Literacy Echo Chamber. I don’t understand your last point. Can you please explain why one is ‘genuine’ and the other not? Thanks. and asking about the letters of someone’s name is a “genuine” question asking about how many sounds there are is correspondingly not; hope that makes sense? The Reading War continues despite the research in the field. 1 Educators have been notorious for their inability to resist the lures of educational innovations, especially if dubbed “progressive”. 2 WL relieves educators of much personal accountability for results . . . standardized evaluation is not followed. 3 WL appeals to many educators’ romantic and/or humanistic interpretations of what is healthy child development . . . classes are esteem-centered rather than learning-centered. 4 In the past, educators have ignored or rejected most of the empirical findings in practically all aspects of their field . . . numerous educators still hold positive views about WL despite experimental research. 5 The apparent simplicity of WL is alluring for teachers. 6 Educators who have liberal political views are charmed by WL’s decidedly left-wing agenda. Why has illiteracy level been the same during the ‘Whole language’ period and during the ‘Phonics’ period. If illiteracy rates are the same during both period then this ‘Reading War’ will never end. I have taught kids in 3 languages which all use the same Roman alphabets. If the kids can read in two of the languages but not in English then one has to stop and ask why that is the case. I have addressed this in my book. It includes corroborative evidence supporting my findings. Get a copy of the book ‘Shut down kids’ on amazon or Barnes and Noble. As I listen and read the debates above my quandary is still not answered. I teach SpLD students, therefore reading/spelling is a challenge. Nowadays many of these students can ‘phonics’ any word, but too many cannot read fluently – still. Furthermore, for some, sounding out every letter in every word has become just as much of a barrier to reading and enjoying books as not being able to decode the word at all. No-one seems to have addressed that problem. Do you know that systemic synthetic phonics is a particular form that is very different from simply sounding a word out?